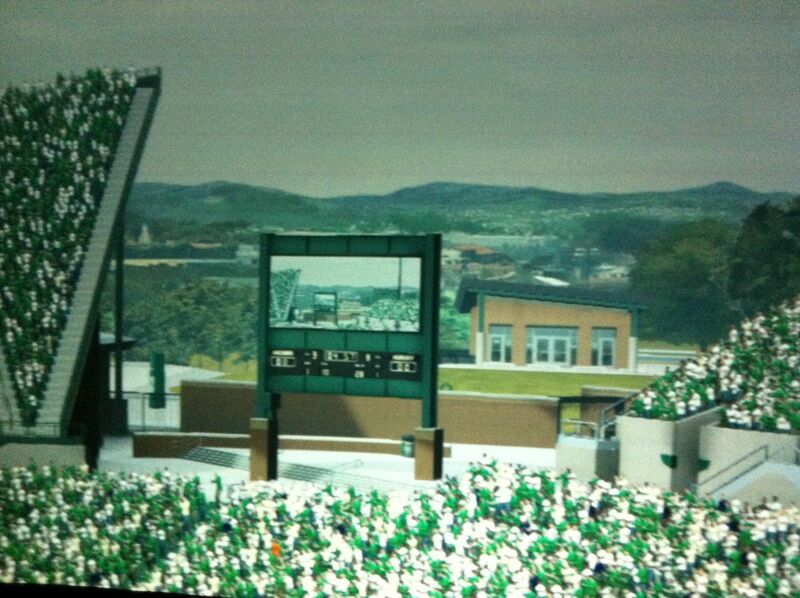 View of the Alumni Pavilion from EA Sports NCAA Football 2013. Once they get the bridge built, I think it will be in the middle of everything. Skiver...you obviously do not know the story behind the Pavilion. Not for those using the Red or Blue parking lots. Which mountain range is that?